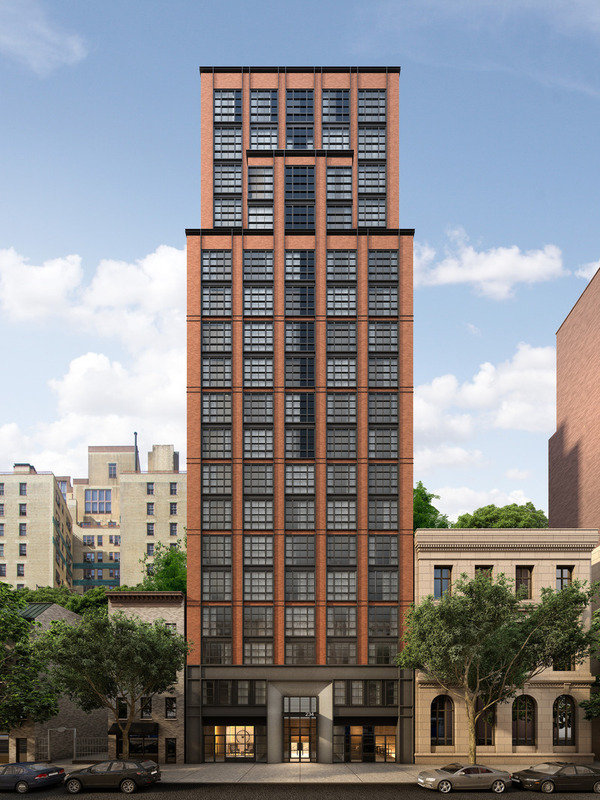 The Naftali Group’s 20-story luxury condominium project at 234 East 23rd Street, in Gramercy, has risen quickly since construction began last year. The new building consists of 57 units, and now YIMBY has fresh renderings of the penthouse. Of the 57 condominiums, all but two units have either sold or entered contract. 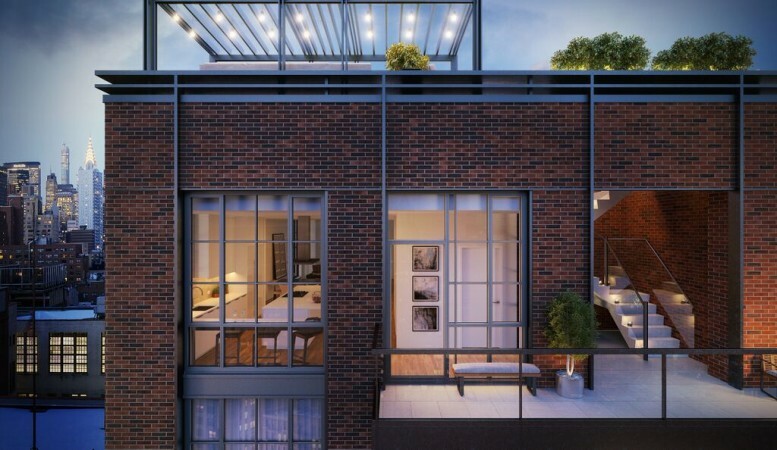 234 East 23rd Street’s 3,647 square-foot penthouse remains on the market, and it includes a 1,245 square-foot terrace; new renderings sent to YIMBY detail the unit’s living spaces. A 10th-floor residence is also still on the market; the last two available units are asking $6.445 and $2.995 million, respectively. Rottet Studio is the interior designer, and Goldstein Hill & West is the design architect. The structure’s façade of brick and metal offers a positive departure from the vicinity’s standard architectural vernacular, dominated by post-war banality.